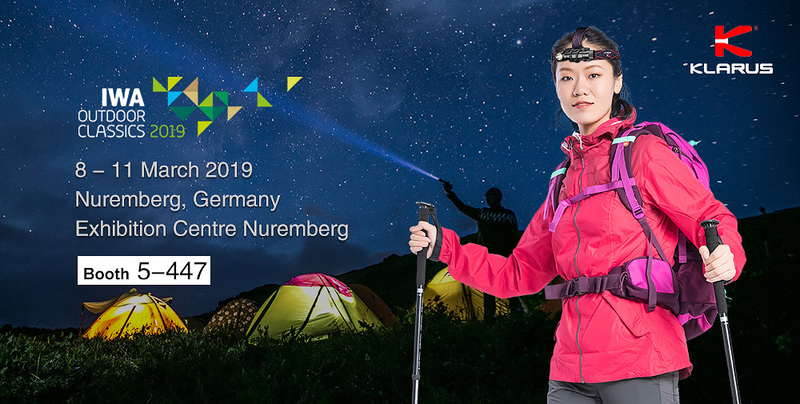 We are pleased to invite you to Klarus Exhibiting Booth 5-447 at IWA OUTDOOR CLASSICS 2019! The event will take place at the Exhibition Centre Nuremberg, Germany, and you'll be welcome to Klarus Booth 447 in Hall 5 During Mar. 8-11 2019 to experience Klarus Advanced Tactical Flashlights for Law Enforcement and self-defense, mini EDC flashlight for daily use, Headlamps for outdoor and cycling, long beam range Lights for hunting and search & rescue, etc.